Keep children safe and protected with Kaplan various safety tools. 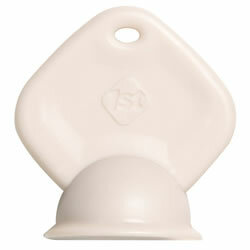 Kaplan includes choke tester sets, outlet plugs, observation mirrors, first aid kits, and soap dispensers. 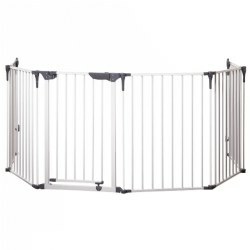 Also included are door safety strips, edge protectors, and security gates. Keep your center safe. These outlet cover plugs allow teacher access to electric outlets, but keep children out. Set of 12. 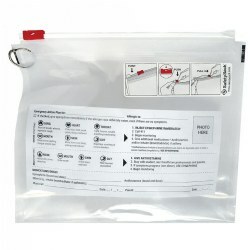 Unique heavy duty nylon medicine pouch for safe storage of daily medicine and emergency medications. 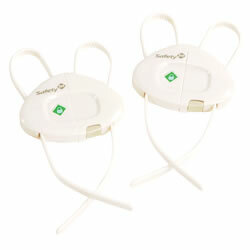 Child-resistant safety lock with reclosable slide zipper, hinged snap ring for hanging. Includes Emergency Action Plan photo card in each. Measures 8" x 10" x 2 1/2". 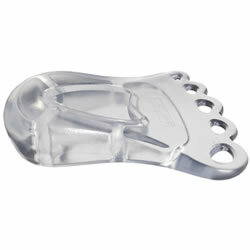 A set of clear-frosted door guards for finger injury protection. 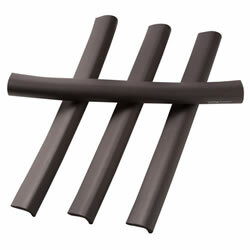 The set includes one for the push side and for the pull side of a door. The guards come with pre-applied foam adhesive repositionable tape. No screws required! Can be used on wood or metal doors. 54" high. 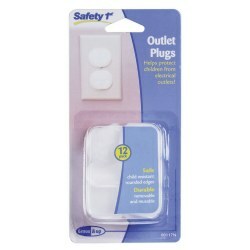 For total outlet protection, these child care safety aids cover an entire outlet with plugs and include built-in cord shortener. 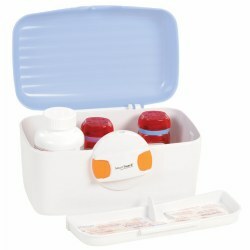 This easy storage solution helps keep medicines and other household dangers tightly locked away from curious children. Sized right for storing easily in cupboards or out of reach places. The unique opening mechanism locks without the use of a key or combination to remember. 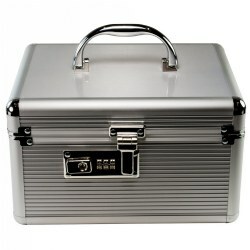 Measures 11 1/2"H x 9"W x 7 1/2"D.
The convenience of having first aid supplies at your side. 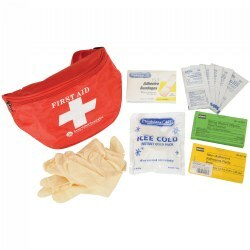 The fanny pack includes 10 alcohol pads, 16 - 1"x3" bandages, 2 pair of latex gloves, 10 sting relief pads, 6 - 2" x 3" elbow/knee bandages, instant cold pack and first aid guide. 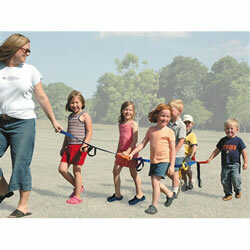 Great for field trips and outdoor playgrounds. Made in the USA. Gate may be hardware or pressure mounted. When hardware mounted, it has a pass-through swing feature; when pressure mounted, it has a lift-to-release feature. 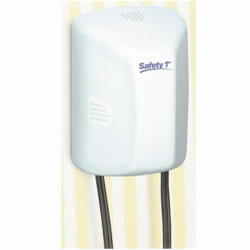 Features one hand, top-release handle and red/green indicator to confirm gate is locked in place. 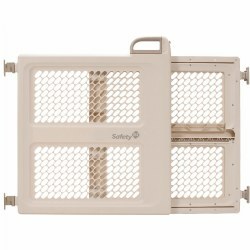 Gate provides unobstructed view, making it easier to keep an eye on exploring toddlers. 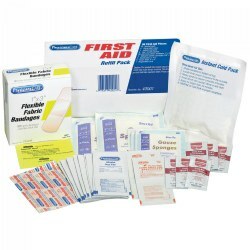 Measures 28" to 42"W x 26"H.
Refill pack for first aid needs. Includes 20 alcohol pads, 4 sting relief wipes, instant cold pack, 6 burn cream packets, 50- 1" x 3" adhesive plastic bandages, 4- 3/4" x 3" bandages, 4- 2" x2" gauze pads, 6- 3"x 3" gauze pads and registration card. This kit comes in its own individual plastic case. 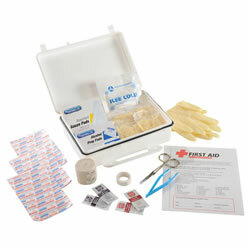 Contains bandages, instant cold pack, secondary dressing, wound treatment products, scissors, tweezers, first aid guide and more. 119 pieces total. Made of sturdy nylon webbing, our original walking rope has 12 colorful handles for children to hold in addition to front and back handles for teachers to share with a child. 146" long. 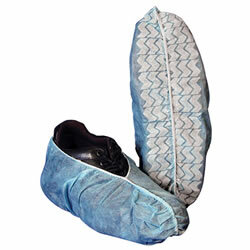 Has an easy-to-use sewn-in "hook and loop" strap to attach an additional walking rope. Machine wash. Line dry. This extra key is nice to have on hand in case the original becomes lost or misplaced. Works with Kaplan item #27065, Magnetic Locking System. Keep cabinets and drawers off limits to curious children. Simply install the lock inside cabinet or drawer and then use the magnetic key to open when needed. Magnetic key is easy to store high up and out of reach from curious children. The locking system comes with 4 locks and 1 key. Soften sharp edges with these streamlined Foam Edge Bumpers. 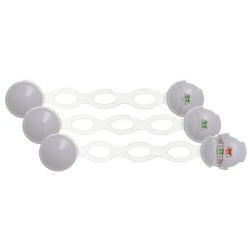 The double-stick tape keeps them securely fastened, and removes easily when no longer needed. Espresso color. Includes four 18 inch strips. Be able to see the children at all times with these indoor observation mirrors. Shatter resistant, wide angle mirrors eliminate blind spots and enhance visibility. Mirrors are lightweight and fade resistant. 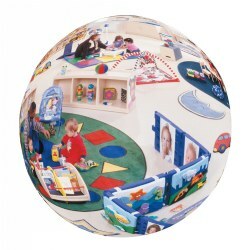 Convex mirrors and mirrored domes provide a view around corners, corridors, and classrooms. Mirrors each measure 18" across. Round Mirror includes a mounting Z bracket and hardware. Mounting hardware is not included with the Half Dome and Quarter Dome Mirrors. Mirrors are indoor use only. 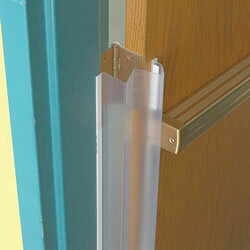 Easy to install, just slip the clear finger guard to the side or top of any door to prevent it from closing.This unique product design allows the finger guard to be placed on the side, top or hinge side of the door as needed. This handy lock installs on cabinets with either knobs or handles to help keep them off limits to little ones. 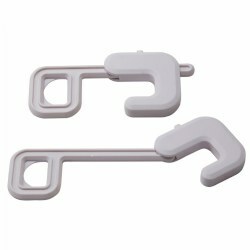 The handle is designed to stay closed, but hangs conveniently out of the way for periods of non-use. 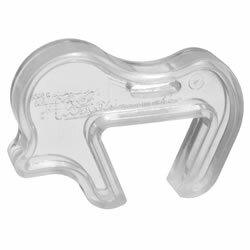 This clear wedge foot shaped door stop can be used with any door. Place under doors to keep them open. Non toxic, BPA, phthalate and latex free. Set of 4. 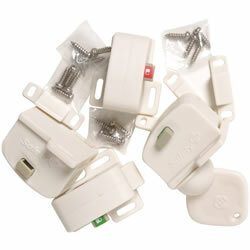 Multi-use latches are simple to use in any room, work on corners and require no tools to install. With super-strength adhesive backing, they can be effortlessly applied to most surfaces including glass, mirrors, wood, laminated furniture, cabinets, varnished wood, veneer and metal.